The best thing Menino did for architecture, the change he deserves to be remembered for, isn’t a building or group of buildings. It’s the transformation, still in progress, of Boston from a patchwork of semi-isolated neighborhoods into a single whole city. Of course I’m simplifying. But I think that’s the short story people will remember about this mayor and his impact on the architecture of the city. Menino began his mayoralty in 1993 with the attitude of a surgeon. He’d stitch up the wounds in injured areas of the city. He’d provide new organs — libraries, Boys and Girls Clubs, affordable housing. He’d support walkable streets, and he’d preserve Boston’s human scale and historic architecture. But as time passed, Menino’s gaze began to leave the neighborhoods and focus instead on the center city. large downtown projects received swift approval in a time frame that didn’t allow for a thoughtful process of design review. We’ll comment below on a couple of those fast-tracked proposals. But it’s important to remember that they’re only a part of the Menino story. The mayor was involved in virtually every decision about architecture and urban design during his tenure. He wasn’t a visionary thinker, nor was he strong on aesthetics. But he was a master of detail who always seemed to know everything that was happening. He won’t be remembered for any single grand urban gesture. Instead, he presided over a multiplicity of lesser projects that, taken together, have changed the face of the city. With a discreet bow to the Globe Sports section, I’ll try to assess the Menino years, early and late, by listing some architectural wins and losses. ■ Boston recaptured the places in between. The best thing Menino did for architecture, the change he deserves to be remembered for, isn’t a building or group of buildings. It’s the transformation, still in progress, of Boston from a patchwork of semi-isolated neighborhoods into a single whole city. The keys to that change are what I’ll call the in-between spaces. It wasn’t so much Boston’s neighborhoods, in most cases, that needed help. But the neighborhoods were too often separated from one another by a strip of no-man’s land, a stretch of underused real estate that functioned in the city not as a center but as a border, as an edge, something in-between. Many of these now have been, or soon will be, filled with appropriate new development that serves to stitch the city together. Boston begins to feel less like a patchwork of separate neighborhoods and more like one holistic city. A good example is the amazing renewal of Harrison Avenue and Washington Street between the South End and South Boston. An entirely new arts neighborhood has grown along these long-neglected streets at the far edge of the South End. Former warehouses are filled with galleries. Modest new apartment blocks fill gaps in the cityscape. There’s more to do, for sure — the Mass. Pike, for example, occupies the same strip of in-between land — but the improvement is impressive. Another example is Avenue of the Arts, the name for Huntington Avenue between Copley Square and the Longwood Medical Area. Well-designed new buildings arrived on both sides of Huntington. More than they had in the past, the colleges and museums reached out to mix with the public instead of hiding in their private quads. The best new pieces of architecture are both high-rise college dorms, of all things, each outstanding in its own way. One is a delicate glassy tower called Building H at Northeastern University, by architect William Rawn. The other is a 21-story residence at Massachusetts College of Art and Design, designed by the firm ADD Inc., where the building informs you it’s all about art because it’s clad in a skin of what look like multicolored pastel chalks. Just a block off Avenue of the Arts is the Isabella Stewart Gardner Museum, with a crisp new wing by the Italian architect Renzo Piano. The New England Conservatory, too, is building an addition. We can ignore the public face of the new American wing of the Museum of Fine Arts, which looks, to the passing walker or driver, like a set of neatly stacked containers on a shipping wharf. But even the MFA, in its stiff way, has joined in the life of the avenue by reopening its grand Huntington front door as the main entrance. You used to have to enter behind a car park. Many other in-between spaces have been put back to use. There’s the stretch of Boylston Street near Fenway Park. Probably the burst of activity there has a lot to do with the fact that the legendary ballpark was intelligently renovated instead of replaced, as once seemed likely. There’s the piece of South Boston around the Broadway T stop. There’s the retail arcade that fills the once- windswept Prudential plaza, turning a former barrier into a connector between the Back Bay and the South End. There’s the stretch of lower Washington Street that used to be the Combat Zone, but which is now home to restored theaters (notably the Paramount, now part of Emerson College, restored and rebuilt by architects Elkus Manfredi). Also just off Washington, filling a whole block, is the Ritz-Carlton Hotel and Towers. Designed by New York architect Gary Handel, the Ritz fits comfortably into its context while bringing new activity and energy. Then there’s Dudley Square, once the center of Roxbury. Its redevelopment was one of Menino’s priorities, and it is slowly becoming, once again, the heart of a community. There’s a handsome new police station by architects Leers Weinzapfel and a row of modest apartments, by Narrow Gate architects, that was partly developed by the community. 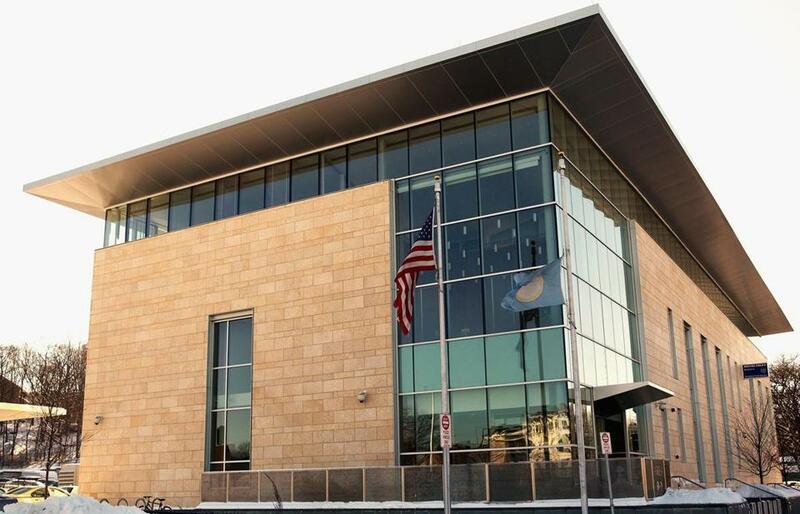 Some time in 2014, the new Dudley Square Municipal Office Facility will open. (I hope they give it a less cumbersome name. Maybe Dudley Hall?) It will house the Boston School Department, among other things. The hope is that putting government here will stimulate an economic recovery in the neighborhood. The facility will be a single building made up of three existing ones, including the historic six-story Ferdinand Building, with new construction filling the gaps. In other words, it is a slowly evolving, diverse mix of new and old buildings with a civic purpose. That makes it not a bad metaphor for Boston itself. The facility was designed by a leading architect, the firm Mecanoo of the Netherlands, working with Sasaki Associates of Watertown. ■ The city preserved its architectural heritage. Menino gets good marks for his desire to save, among so much that is new, a sense of the city’s history and human scale. 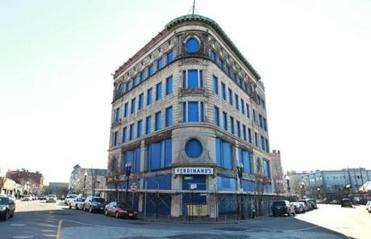 A recent example is the Hayden Building at Washington and LaGrange streets in the Combat Zone, an early gem by the greatest architect ever to live and practice in Boston, H.H. Richardson, restored and revamped as apartments by Historic Boston Inc. But there were losses, too. I couldn’t believe it when neither the Boston Redevelopment Authority nor the Landmarks Commission chose to save the fine Dainty Dot building, beside the Rose Fitzgerald Kennedy Greenway in Chinatown. ■ We didn’t get a Megaplex. Who now remembers the concept of the Megaplex, a combination of a new Patriots’ football stadium, a new baseball park for the Sox, and a new convention center, all to be housed in one giant mass of architecture? The concept bounced around for a while, pushed by then-Governor William F. Weld, and different sites were considered. Menino wanted the convention center where it now stands. But he wanted the football stadium to be built on Melnea Cass Boulevard in the Roxbury/South End area. When the neighborhoods objected, Menino dropped the idea. We lucked out. Football stadiums, with their huge traffic and parking needs and their infrequent hours of operation, don’t add anything to cities. ■ We didn’t get a city-killing disaster, either. Nothing like the demolition of the West End or the construction of the Central Artery. ■ The South Boston Waterfront began to boom. Unfortunately, the traffic planners got here first, something that happens too often. The result is a trackless waste of roads too wide for human use that never seem to be going where you hope they will. The block sizes are big, too, encouraging developers to build repetitive standardized blockbusters with floor areas of 20,000 square feet or so. Most of the newest buildings — for example, those on Fan Pier — are little more than boxes of profitable space, and that’s what they look like. There are, though, good individual buildings. Among them is the Institute of Contemporary Art, where the New York firm Diller Scofidio + Renfro created an eye-catching showpiece that cantilevers boldly out over the harbor. The design was so daring for Boston that observers at first tended to overlook such problems as a drab facade facing the city and a confusing arrangement of stairs and elevators. But the waterside auditorium is marvelous, and the ICA is succeeding in its civic purpose, which was to be a loss leader that would attract investment to the waterfront. What’s most worrisome about the Seaport District is the strange fact that Boston, like many other cities, is concentrating development as close to the water as possible. We’re doing this at a time when ocean levels seem certain to rise to disastrous heights. Are we lemmings on our way to the cliff? ■ We didn’t get any new signature buildings. For one brief moment, Menino thought he was going to get a tower masterpiece of his own. A developer proposed to replace a dilapidated downtown garage at Winthrop Square with a tower designed by Renzo Piano, a tower that would be slim and beautiful and 200 feet taller than the Hancock. The developer decided Piano’s building was inefficient, and the deal fell through. ■ We didn’t get any great new public spaces, either. The ever-growing HarborWalk is a plus, and there are good small parks. But we have nothing to compare with the High Line in New York or Millennium Park in Chicago. Maybe the Greenway is in the larval stage of becoming a great amenity, but it certainly isn’t one now. It still feels like the misplaced fragment of a golf course. The mayor should, perhaps, have found a way to challenge the authority of the state Turnpike Authority, which oversaw the Greenway design. ■ City planning died a slow death. The Boston Redevelopment Authority was created to do two separate things. The first is to be a development agency, monitoring and reviewing proposals for new development. The second is to be a planning agency, thinking about the long-term future of the city and how and where it should grow. Under Menino, development took over, and planning withered. That happened in other cities, too, as federal funds for urban renewal dried up. It was a loss for everybody. Plans for Boston today are pretty much created by developers, with kibitzing by the BRA staff. ■ The mayor played architect. ■ The mayor wanted to demolish Boston City Hall. I guess we should credit him for not actually employing the wrecking ball. There’s a better way to think about City Hall. The building is like an uncle who’s kind of burly and kind of ugly and wears out-of-date clothes. You don’t have the right to murder him for that. What City Hall needs is the love of a good mayor who will give it the renovation it badly needs. Ideally, a mayor would also flank it with modest new development. City Hall would then feel like part of the city, rather than isolated, as it is today, hogging its stage like an aggressively cross-dressed prima donna. ■ We’re getting all those huge new buildings. As noted above, the last weeks of the Menino era appeared to be a mad rush to get a lot of buildings approved before Mayor-elect Martin J. Walsh, takes office. At least a couple of these proposals are worrisome. One is a redevelopment of the Government Center Parking Garage, an enormous project that’s planned to be built in segments over time. It includes a 528-foot office tower, more than 800 dwelling units, a hotel, a shopping arcade on the edge of the Greenway, underground parking. You name it, it’s probably here. This is a healthy mix on a site that has long been a grim barrier. But there’s little detail, as yet, to persuade us this behemoth will improve the quality of city life. The project is being developed by a group headed by Thomas O’Brien, a former BRA director who was regarded, once, as a Menino rival and a potential mayor. The architect for the first building is CBT, which designed 111 Huntington. The other gargantuan proposal is also for a mixed-use complex, this one to be built in front of TD Garden on Causeway Street. The numbers are similar: about 600 feet in height, 500 residences, a hotel, offices, retail, underground parking, a Star Market. The architects are the firm Elkus Manfredi. I don’t object to tall buildings or high densities. It all depends on how they’re done. No one minds walking past the Empire State Building, which is designed as an integral piece of New York City. At the pedestrian level, it’s a vibrant sidewalk row of shops and restaurants. So what’s the final score on Menino? We’ll have to wait and see how the mayor’s late initiatives play out. We can say now, at least, that he leaves a better city than the one he found. Some day, there will doubtless be a Menino statue, like those of other famous Bostonians. One measure of how hard it is to pin the guy down is the fact that it isn’t easy to imagine where such an honor should be placed. I hope it won’t stand in front of the wreckage of a demolished City Hall. Nor in the plaza of one of those yet-to-arrive new towers. Dudley Square, a symbol of resilience and equity, would be a better choice.